The star here is the corn masa. The dough (masa) retains a nice taste and texture, neither too dry and certainly not wet, in its trip from freezer to microwave. Although there’s not much of it, the cheese is chewy and stringy. 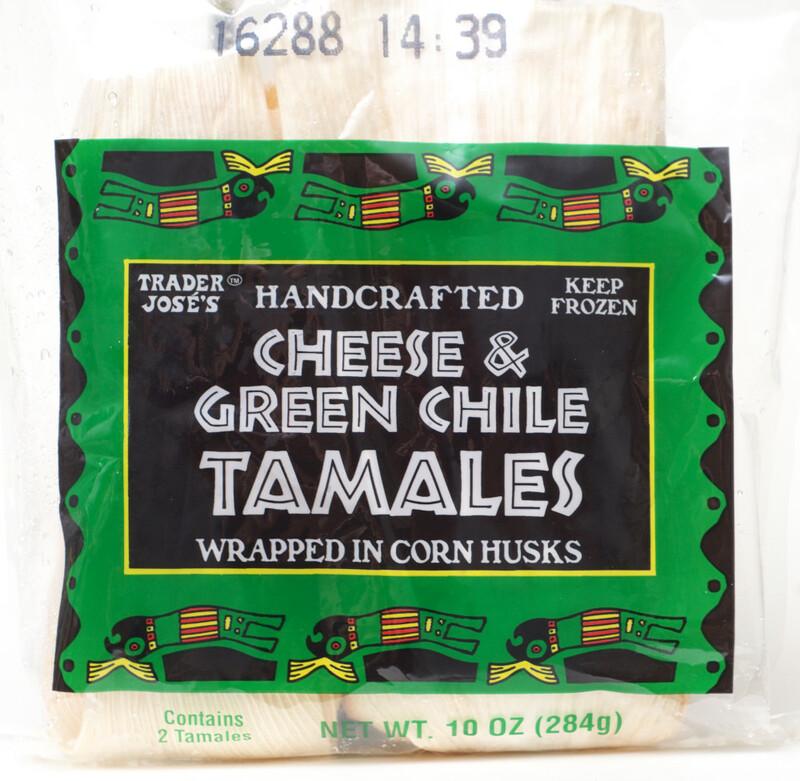 Green chilies are randomly placed throughout the cheese, but otherwise not very noticeable. The heat level is mild unless you get a big piece of chile, then it’s a medium heat. By far the cheese filling is a minor player. 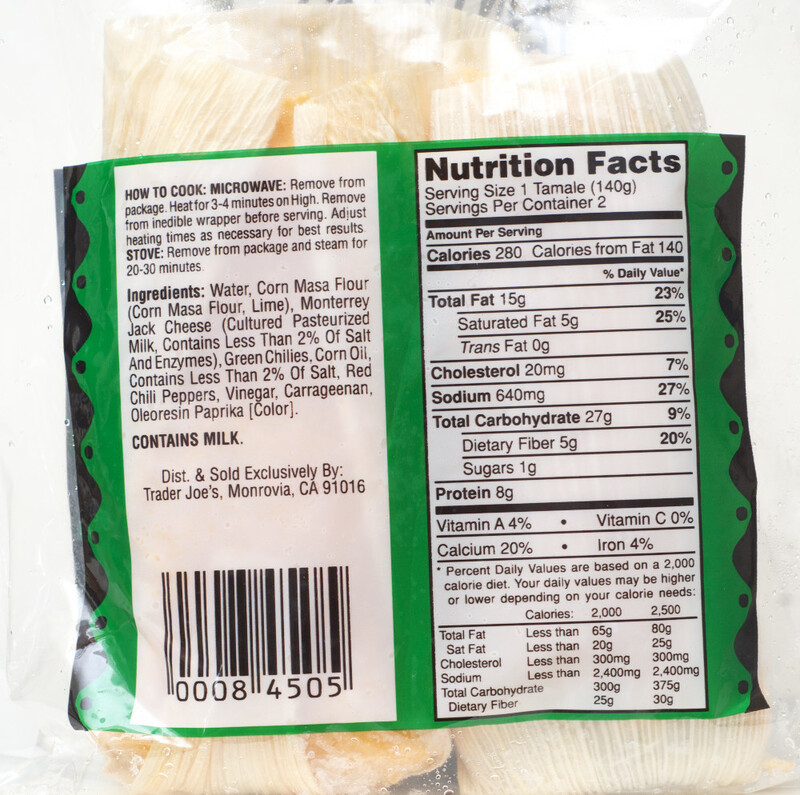 The tamales come wrapped in nicely trimmed corn husks. This entry was posted on 03/27/2017 at 00:14 and is filed under food, Recipes, food, cooking and related items, Trader Joe's. You can follow any responses to this entry through the RSS 2.0 feed. You can leave a response, or trackback from your own site.